Purple Toaster offers an easy and fast Content Management System with customised solutions for your online presence. 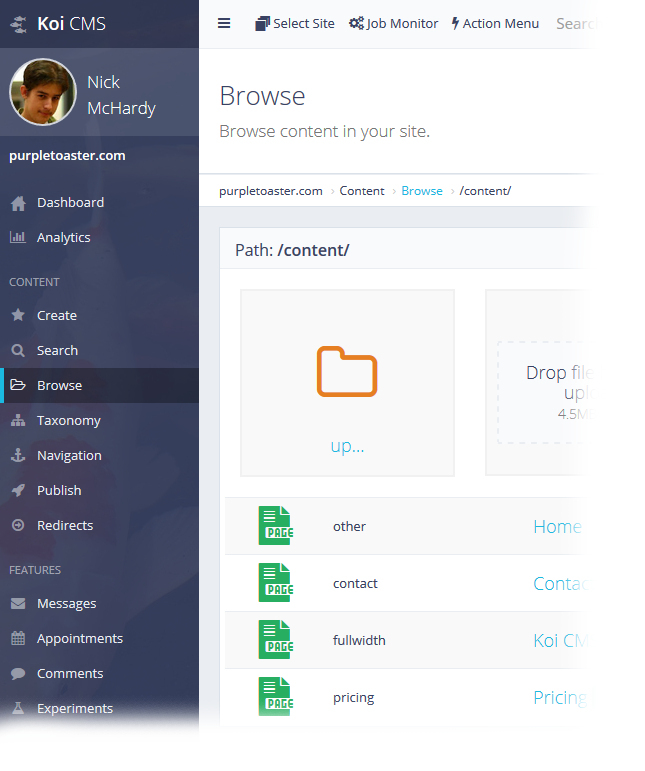 At Purple Toaster, we have designed and engineered a custom Content Management System called Koi CMS. It is easy to use and fast! Our services and solutions are purpose-built to meet the needs of your business. We can design, build and deliver custom web solutions to meet your needs.